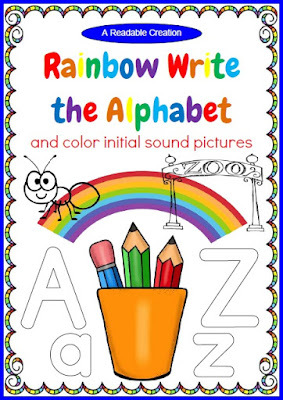 The Best of Teacher Entrepreneurs III: Language Arts - "Rainbow Write the Alphabet"
Each blackline sheet in this resource contains a matching upper- and lowercase letter of the alphabet (with a starting arrow) and pictures of things beginning with that letter sound. Your students can rainbow write inside each letter outline using the colors of the rainbow – red, orange, yellow, green, light blue, dark blue, and purple. 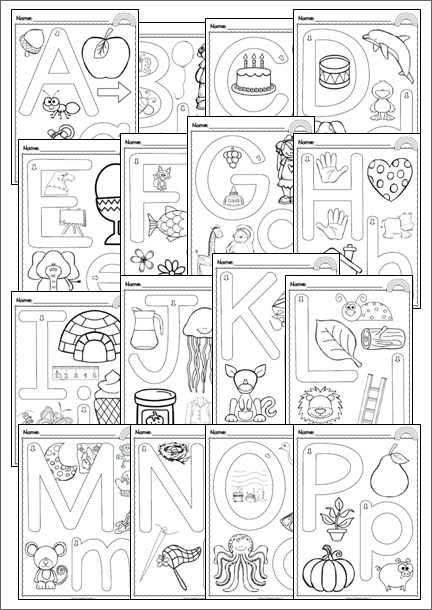 These activity sheets provide handwriting practice and beginning letter sound recognition. *The KG Primary Penmanship font was used for all the letter outlines. This is really cute! I love the arrows included to tell the kids were to start writing!